Sound is just as crucial an aspect to your animation as your visuals. Whether you're looking to create a score, ambient noise, dialog, or a complete soundtrack, you'll need sound for your piece. This nuts-and-bolts guide to sound design for animation will explain the theory and workings behind sound for image, and provide an overview of the systems and production path to help you create your soundtrack. Follow the sound design process along animated shorts and learn how to use the tools and techniques of the trade. 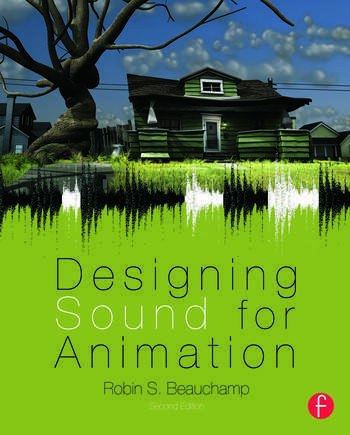 Enhance your piece and learn how to design sound for animation. Robin Scott Beauchamp is a professor of sound design at the Savannah College of Art and Design. As a founding member of the department, Mr. Beauchamp was instrumental in designing the curriculum for the first Undergraduate Program in Sound Design in the World. There he teaches courses in design, music editing and supervision, mixing, and Foley recording. He is expert certified in Pro Tools Post Production and teaches certification courses. Mr. Beauchamp continues to work as a freelance sound designer and composer for independent animations.